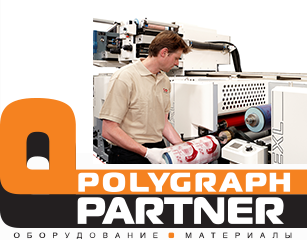 Our company PolygraphPartner obtaining profound experience in printing and service is one of the leader companies of Ukraine and Moldova in the feild of selling equipment, spare parts, technology and materials for producing modern labels and packaging. We work by means of creation and emplemantation of interesting ideas in printing, and we try to offer our clients considered and precise decisions. Our aim is to arm our clients with unique competitive advantages for their achievement of long-term success. We offer full range of service that starts with exact understanding of clients' needs. After that we work out optimal solutions and ensure emplementations of them from delivery to setting and installation. Also we provide intense training for staff and provide warranty and after-sales service.